A deep-red, oily liquid with a sharp smell, it is poisonous and the liquid corrodes skin. It is extracted from natural brines and sea water and is used in industry to make fuels and additives, insecticides and pharmaceuticals, and to make bromide salts for photography. 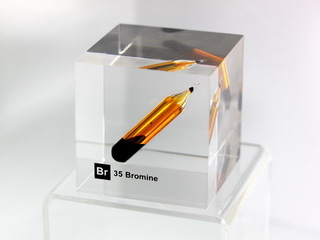 It has been suggested that some bromine in the form of bromide is essential to health, but this has not been proved. The use of bromide salts as sedatives and to depress sexual desire has now been discontinued because the compounds are slightly toxic.